Safer Trailers Reduce Costs and Improve Productivity - Minuteman Trucks, Inc.
It’s become a cliché to say that the cab of a truck is a driver’s office. But if the cab is the driver’s front office, the trailer or truck body behind that cab is his or her back office. While the past decade has seen a whole host of safety enhancements targeting truck cabs, trailers and truck bodies are starting to get their safety due, too. A move by fleets to safer trailers and bodies is really a combination of good citizenship combined with care for their employees — all while improving the bottom line, says Paul Jarossy, director of business development for Morgan Truck Body. Drivers and truck users often embrace product features and options, that, for example, allow the driver easier access into and out of the truck body, he says. “We are now complementing our standard safety features, such as grab handles and steps at every access point, full-width rear bumpers, and prominent warning labels…with new, robust, pull-out rear and side steps that serve to better facilitate the user’s egress and ingress from our bodies. Trailer and body safety begins with visibility, says Brett Johnson, president and CEO of vehicle lighting supplier Optronics. Truck-Lite, for instance, offers perimeter lighting, adding up to 5 feet of light for visibility in areas where dome or back-up lighting will not reach. The company says it’s ideal for use with liftgate trailers and body vehicles. 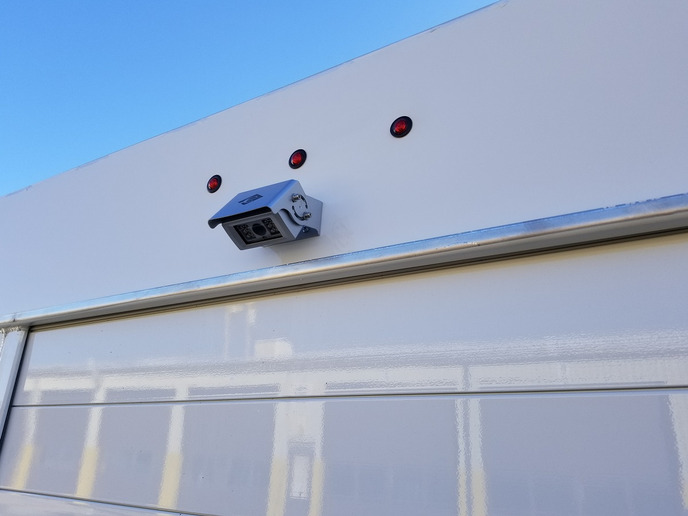 Inside trailers and bodies, Johnson says a new emphasis on reliable lighting has led to new, corner-mounted LED lamps that can illuminate an entire van interior while being immune from damage from forklifts and shifting cargo. And, he believes that as time progresses, the use of sensor-activated lighting will become the norm, so when workers are present, lights are on. Other trailer telematics systems are available that offer similar capabilities, such as Truck-Lite’s Road Ready, Grote Guardian, and TrailerNet from Phillips Connect Technologies. In short, there’s a new way of thinking about safety in the truck body and trailer, which has clear benefits for heavy- and medium-duty fleets, cutting costs and keeping drivers healthier and happier.